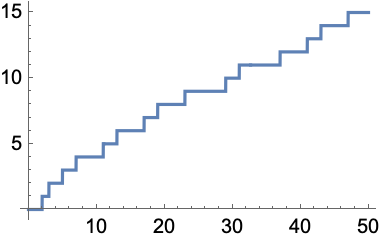 gives the number of primes π(x) less than or equal to x. The argument of PrimePi can be any positive real number. PrimePi automatically threads over lists.